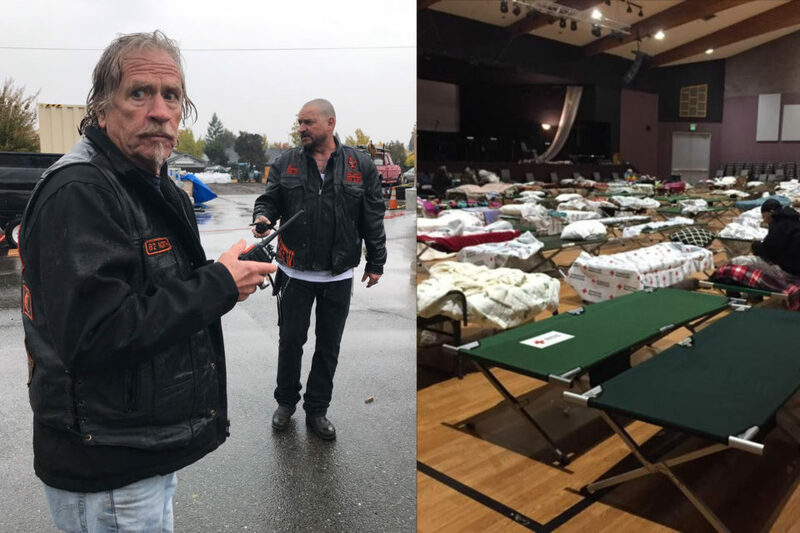 The 823 Hellbent Motorcycle Club of Chico, California, has been providing the victims of California’s deadly Camp Fire an unusual service: protection against looters and troublemakers. Many churches have stepped up to provide aid to the fire victims. Chico’s East Avenue Church, despite not being an official evacuation center, has offered shelter to around 250 evacuees. With only minimal assistance from the government, volunteers have supplied meals, clothing and medical care. It was not the fire victims themselves who were causing problems. Hellbent 823 chapter President Matthew “Straws” Strausbaugh says that the issue was “the local transient population.” The disruptions were more than the local police could handle—after responding to the church’s calls several times, the police stopped coming by. It turns out that the situation was even more than the members of Hellbent 823 could handle on their own. So they called for help from other biker clubs, including the Sons of Hell, the Street Outlaws and the Hells Angels. The Resurrection Motorcycle Club of Paradise also joined in aiding the evacuees, even though the club members’ entire town had recently been destroyed.